Feeding Pets the Right Way – for Mera Tiernahrung GmbH from Kevelaer on the lower Rhine this is the goal and the obligation.For more than 60 years, the German family-run company has gained experience in the production of high-quality pet food. 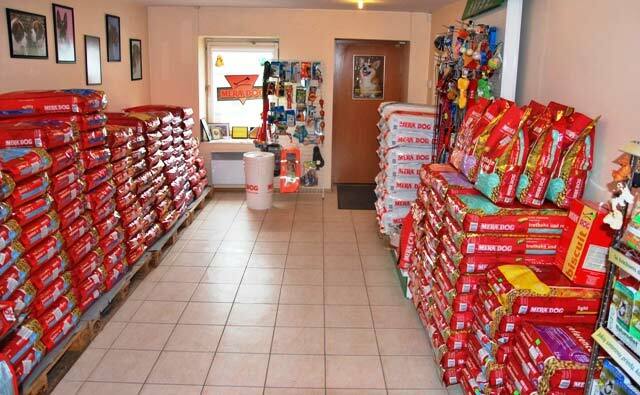 The company has ultramodern manufacturing facilities and is among the leading manufacturers of premium products for dogs and cats. Production is according to a foodstuff standard.To do this, the entire production process meets the re-quirements of the strictest international quality standardsand is regularly reviewed and certified by independent institutions. High-quality raw materials are subject to extensive quality checks even upon delivery to us and in addition there is seamless traceability from the finished product to the raw material supplier. This guarantees safety for both people and animals. Meradog provides your dog with the exceptional MERA quality in every phase of its life: We use only raw materials from healthy animals whose meat is intended for human consumption – monitored and confirmed by official veteri-narians.